I love anything that helps me keep my designs fresh and stream lines the creative process. Weather that be sourcing images, picking fonts and colors or simply a good site for inspiration. That last one is a doozie, as a designer it's really tough when you hit a creative dry spell. With that being said, I'd like to share these 5 Tools that I use to be a better designer! First up, flippingtypical.com! 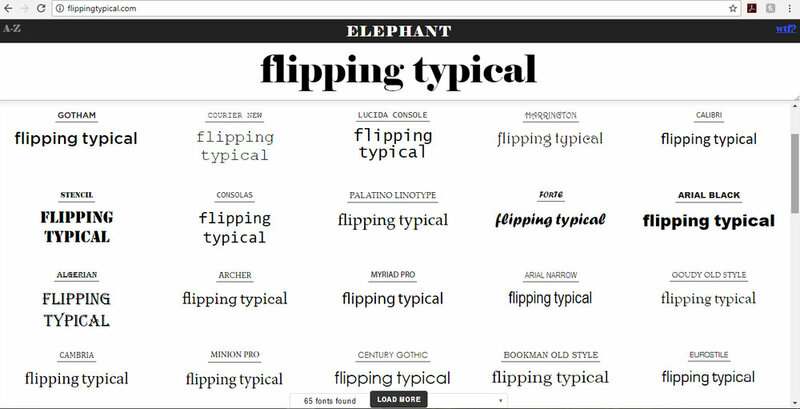 Flipping Typical is a website that actually shows you all the fonts on your computer. It allows you to type in a window and then scroll through to see what font in your system looks best. This baby has saved me so much time looking at the word or name in all the fonts side by side all at once. Personally it cuts down on the back and forth second guessing my font choices. Next up... Unsplash.com. This is my favorite new tool. Unsplash is just amazing. Did I mention that it's all FREE? That's right... FREE for commercial use and HIGH RESOLUTION! IT's the holy grail of Stock Photography sites! And we're talking really beautiful photography that has more of an up to date look than most of the pricey stock image sites we all are used to using. I just can't say enough about these guys, so go check them out! Inspiration is a hugely important thing when you're a designer. It can be the difference in getting work, keeping a job and well, paying the bills. designspiration.net is a great resource to type in a key word and let the imagery fill your creative tank. Interior Design, Graphic design and so on.. it all mixes together and fills the page to create a cocktail of fabulous inspiration. You'll be ready to crank out new designs in no time. Fonts are oh so important to a good looking design. Lately my go to resource for fonts has been creativemarket.com This is a beautifully curated site that honestly has mind blowing photos, stock art and fonts, but for me they are my go to font house. I know when I'm dealing with Creative Market that I'll be getting top quality fonts. I also find I'm really inspired by all that I see featured on the site. Travel! I know, that doesn't seem like a tool. But honestly, we all get stuck in ruts. You go to the same office, see the same people, eat the same foods and on and on. Travel breaks that monotony and revives our spirit. Even if it's just an afternoon two towns over, or a day spent driving back roads exploring your state, it exposes us to new things, new people, new tastes and redirects the course of our creativity. Every little treasure you see in gift shops, antique stores, on your hikes in the water all contribute to new beautiful ideas! 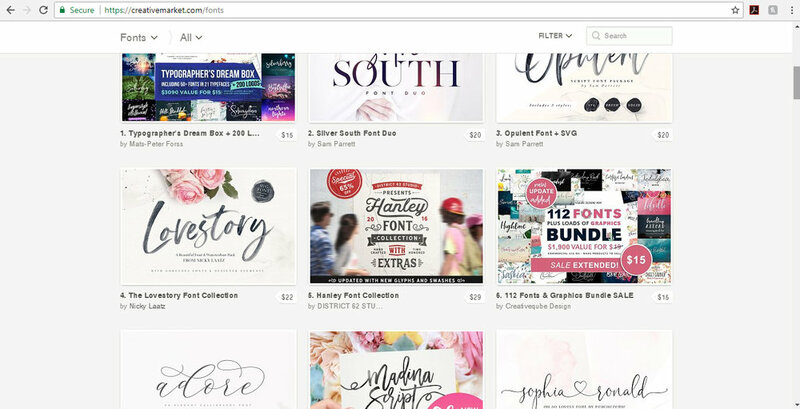 I hope these 5 Tools prove to be helpful designing and that you have a fabulous time exploring them, especially 5!